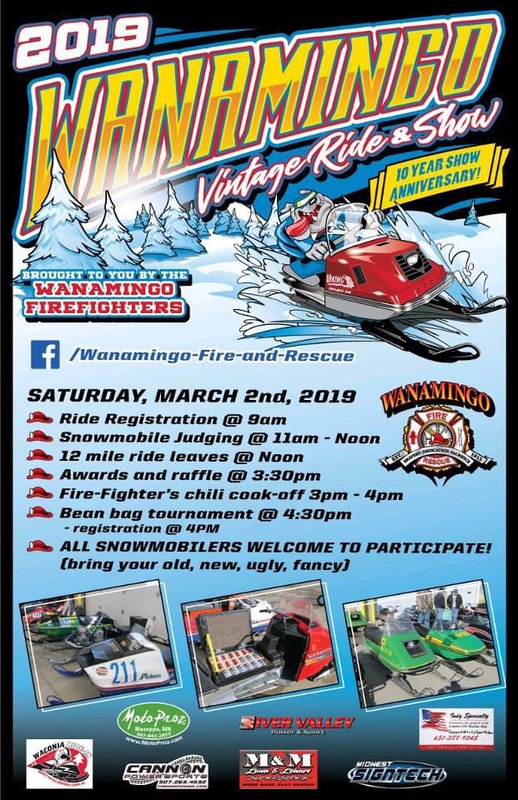 Wanamingo Fire  Department would like to invite you to our 10th anniversary Vintage Snowmobile Ride and Show. The Event is this Coming Saturday, March 2nd, with registration starting at 9am. 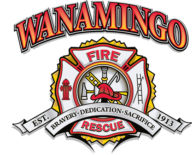 Bring any sled to the Wanamingo Fire Hall—your new, old, fancy, or ugly. Judging will be from 11am until Noon, and then we will head out on a 12 mile ride. Cost to register a sled is $20, which includes the registration, ride, and all you can eat chili. The ride will return around 3pm, and that’s when the judging for the chili contest will start. 3 categories of chili are allowed to be entered, flash point which is described as hotter the better, mural aid for those that don’t like it as spicy, and our people’s choice. Think your fire department or ambulance service has what it takes to win? The contest is open to all fire and ambulance services to enter. Feel free to shoot us a message and we will let you know the official rules. Our Relief Association is also sponsoring a large raffle with many prizes—We will be drawing our raffle winners during the chili contest as well. If you’re interested in a raffle ticket, please contact your nearest firefighter to buy one. And as always, the areas biggest Bean Bag tournament starts at 4:30 with a $5 entry fee and blind draw for partners. Thank You to all who helped sponsor this event!! !